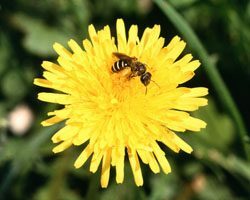 Honeybees have been dying by the millions because of colony collapse disorder. But government officials say it’s not just the bees that are in trouble. Lester Graham reports. Jeffrey Pettis heads up the USDA’s bee lab in Beltsville, Maryland. He says there’s a lot of concern about honey bees because they pollinate crops. But he’s also really concerned about wild native bees, butterflies, bats that pollinate plants in the wild. Pettis says habitat destruction is hitting nature’s wild pollinators hard, but bats are also dying because of white-nose syndrome, a fungus that’s spreading, killing bats by the millions. For The Environment Report, I’m Lester Graham. Bion Environmental Technologies is just like a lot of big businesses trying to capitalize on the ethanol trend. Over the past year, people from Bion have been working with local officials in St. Lawrence County, a rural area of northern New York. Bion plans to build their first project there. It’ll be a huge indoor feedlot for eighty four thousand beef cattle and a large corn ethanol plant. They have everything accounted for – they’ll ship cattle and corn in from the Midwest. They’ll use distiller’s grain from the ethanol plant to help feed the cattle. 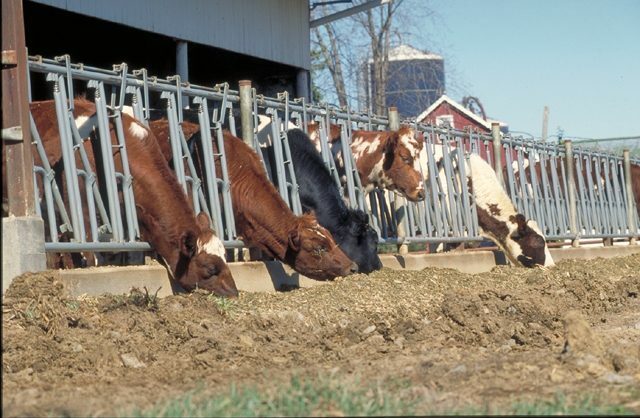 And they’ll even use manure from the cattle to power the ethanol plant. But not everyone agrees. 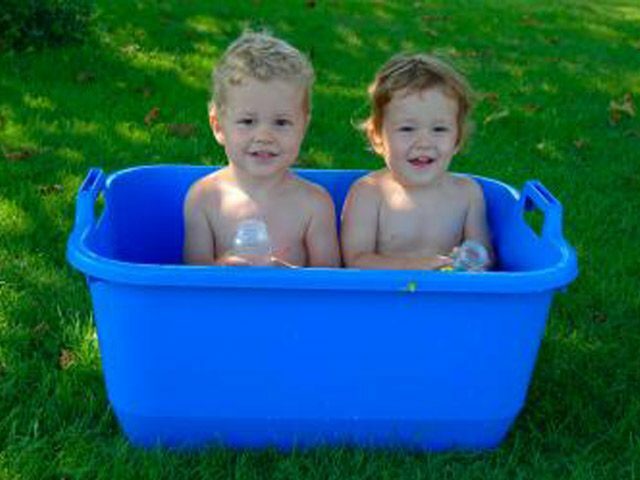 They wonder how much water the project will need. And they wonder about pollution from all those cattle. Shane Rogers knows a lot about pollution from factory farms. He’s a professor of environmental engineering at Clarkson University in St. Lawrence County. He tests for certain pollutants in the water and soil around factory farms. 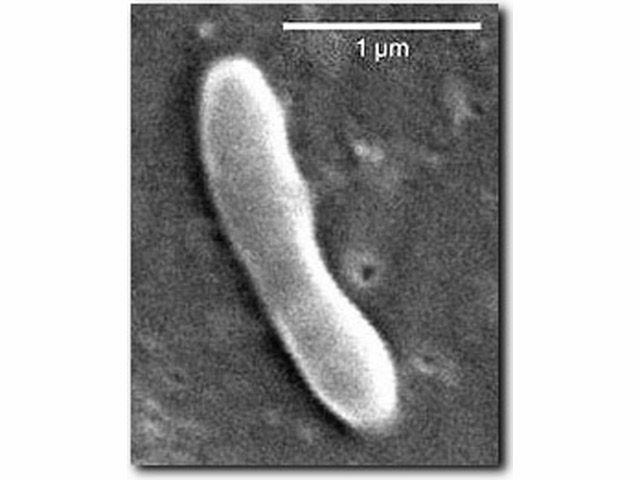 Rogers often finds antibiotic resistant E-Coli and other pathogens. He says that type of discharge can happen every day – even at the best run facilities. Rogers says factory farms don’t need to remove these pollutants. But people at Bion say their system will remove a lot of them. “A facility of this sort wants to have the minimum possible environmental liability. Because that lowers the risk and raises the probability of profits. And we’re in the business to make money. But researchers are still unconvinced. And some think there are better ways to provide meat and dairy products for the country. Doug Gurian-Sherman’s with the Union of Concerned Scientists. He’s the lead author of a new report critical of large factory farms. He says small and medium sized farms can provide what people need without the risks to those in rural communities. But Bion insists their large integrated project will work. And they expect to receive millions in taxpayer subsidies to help make it work. It’s unclear what the costs will be to the community. In the meantime, the trend continues. Bion plans to build at least five more of these projects throughout the country. For The Environment Report, I’m Kinna Ohman. nutrient pollution in the river by 10 to 20%. that don’t need much artificial fertilizer. For The Environment Report, I’m Chuck Quirmbach. The woolly porkers have appeared in 23 of Wisconsin’s 72 counties. They’re damaging crops, digging out ground-nesting birds, and killing small deer. They may also cary pseudorabies and swine brucellosis, threatening domestic pigs. Wayne Edgerton is agricultural policy director of Minnesota’s DNR. He says the problem could easily spread into his territory. Some people have speculated that Minnesota’s intense winters would kill off any feral swine crossing the border. But Tim DeVeau, a veterinary medical officer of the USDA, says that’s unlikely. 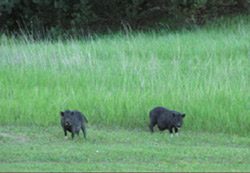 DeVeau adds that in order to keep wild pigs’ numbers under control, at least 75% of the population has to be destroyed every year. He says that’s not happening. For the Great Lakes Radio Consortium, I’m Brian Bull. Researchers at Michigan State University are using a process that introduces microbial bacteria into contaminated aquifers. Over time, the microbes break down hazardous waste, usually from industrial spills. Before this new technology, the most common cleanup technique was called “air stripping.” That requires groundwater to be pumped to the surface, where toxic chemicals are basically blown out of the water and into the air. Professor Mike Dybas says the new process doesn’t leave pollution in the ecosystem. Dybas says the process could be used in any type of industrial or agricultural spill. He says since the microbes move with the water, cleanup could stretch for miles underground. For the Great Lakes Radio Consortium, I’m Erin Toner. 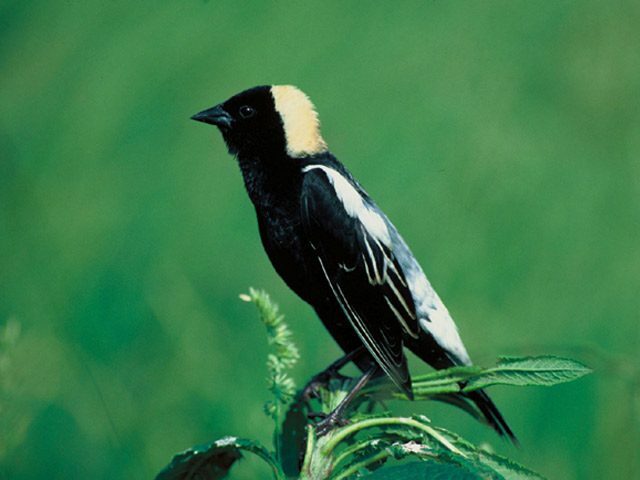 percent of grassland bird species are declining significantly. have reduced available bird habitat. For the Great Lakes Radio Consortium, I’m Rebecca Williams. 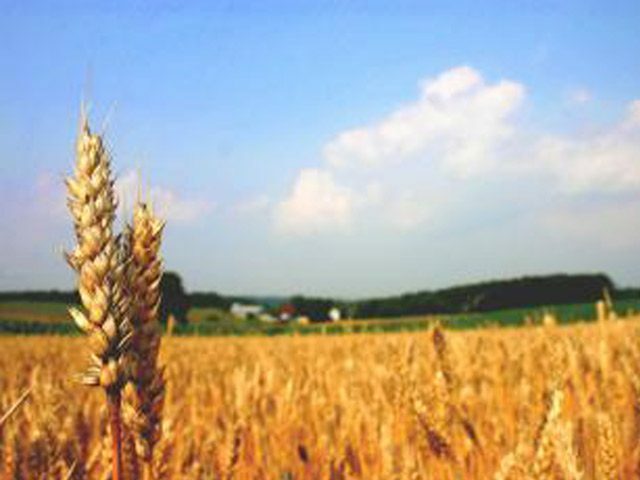 Lindane is most commonly used as a pesticide for corn, wheat, and other grains. cases, lindane can cause seizures or even death. group is seeking a ban on lindane in the United States. “This is the type of chemical that there’s no reason not to get it off the market. Schafer says 52 countries and the state of California have already banned lindane. Canada plans to eliminate agricultural uses of lindane by the end of the year. For the Great Lakes Radio Consortium, I’m Chris Lehman. 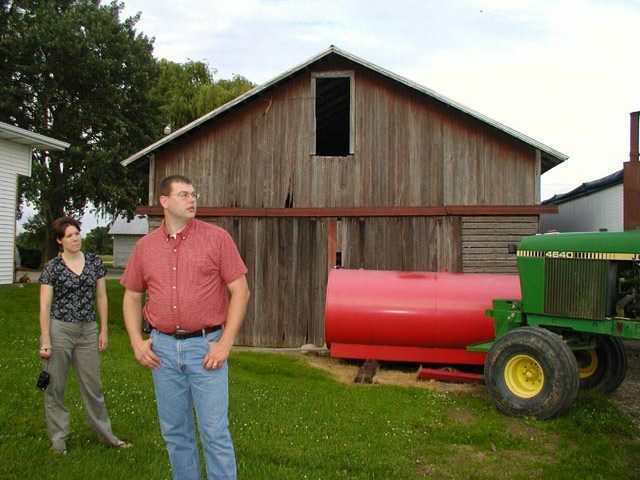 J. Williams and his wife Kelly grow corn and soybeans. 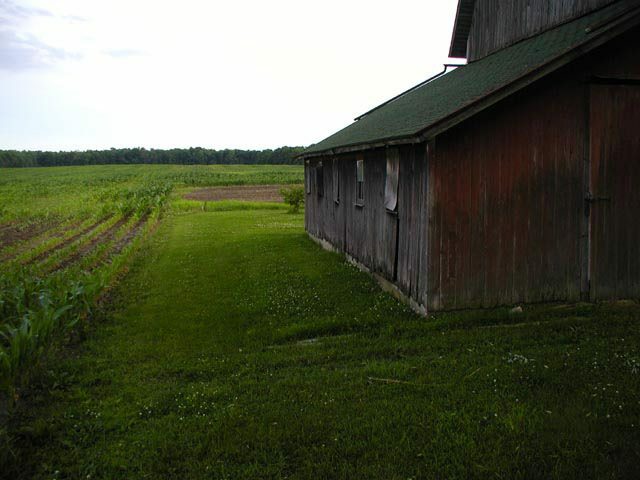 Their farm is relatively small, 700 acres in southern Michigan. They do all the work themselves – they plant, treat, harvest and market their own crops. It’s a lot of work for two people, especially since both J. and Kelly also have full-time jobs off the farm. He works at a bank and she works as a farm credit analyst. They hope to one day be able to quit those jobs, and live off the farm income, but that might take awhile. The Williams had to take out big loans to buy land and equipment. They’re deep in debt, but they say farming is the life they want. To achieve complete independence, J. says he needs to buy more farmland, but when he tries, he has to compete with a dozen or so other bidders, and they’re not all farmers. Some are developers looking for places to build homes or stores. The developers can afford to spend a lot more for the land because they’ll make a quick and substantial profit once the land is turned into neighborhoods or strip malls. It’s a common scenario. 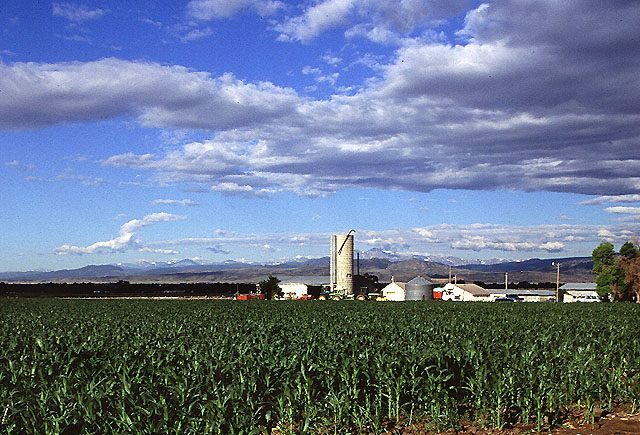 In the last two decades, the United States has lost close to 50 million acres of farmland, most of it mid-size farms – which are typically family-owned. They’ve been chopped up and sold to developers or to sometimes gobbled up by factory farm owners. Scott Everett is the Great Lakes regional director for America’s Farmland Trust. 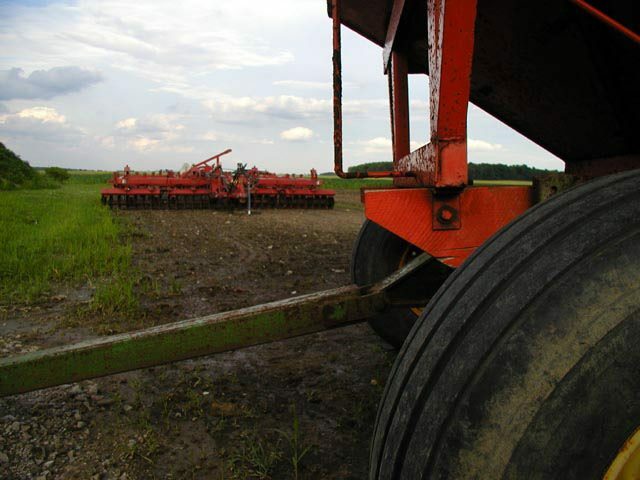 His group lobbies to preserve farmland. He says even when crop prices are at their highest, a sweet development deal is usually too good for some farmers to pass up. Everett says farmland is often sold to developers at triple what it would be worth as agricultural land. That makes land prices high… and that means young farmers have a tough time getting loans. Bruce Weir is with the U.S. Farm Service Agency. The agency offers loans to many beginner farmers who haven’t been able to get financing anywhere else. A lot of beginning farmers know the odds are against them, but like J. Williams, the banker who wants to become a full-time farmer; they’re still hoping to expand their farms. Williams says he’d like to know that available land won’t simply go to the highest bidder. He wants farmland to remain farmland. He’s working with a group of local farmers to persuade government leaders to develop long-term land use plans. J. Williams says farming is going well for him and his wife so far. He says… just like the old saying goes, his corn was knee high before the Fourth of July, and the Williams’ fledgling farm is already turning a profit, but they still have to keep their day jobs. J. says it might be that way for some time, if government doesn’t protect farmland from the high price of development, and preserve it for agriculture. Barn preservation groups across the country are working to save old barns - both the common designs, and the more unusual examples, like this one in St. Joseph County, Michigan. 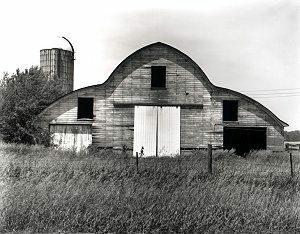 Photo courtesy of Mary Keithan, from her book, "Michigan's Heritage Barns," published by Michigan State University Press.